This is the second part of my life with cars. I set out to write about the cars I’ve had over the past 35 years, but 4000 words later, I ended up writing about the many fond memories I’ve had around car ownership and life in general. I’d love to think my kids read this story in 50 years time when all cars are made of plastic and powered by sherbet or some other wonder fuel. 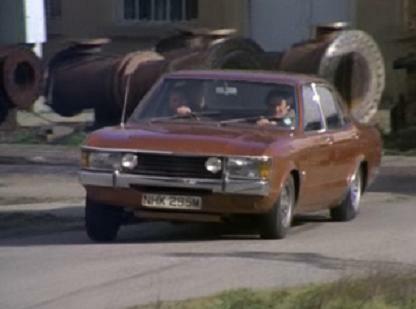 My next car was a Ford Consul (almost a Granada) in metallic brown NVK 375L. I’m not exactly sure why this is the only registration I can remember from my early cars but maybe it had something to do with the number of times I was stopped by the police that I remember it so well. “What’s a young lad like you doing in a big car like this and can you tell me the registration please?” was always their opening gambit. This car taught me my first big lesson… always clean your rear windscreen before reversing at speed on a cold and frosty night. If only I’d done that I wouldn’t have written off my mates Ford Capri that was parked 6 doors down the street, sorry Jim. Anyway, the Consul was repaired and served me well until the rust worm also took over. I replaced both front wings with fiberglass after market parts and I resprayed the whole car red, which turned out like Heinz Tomato Ketchup with one of those £20 electric spray guns from Halfords. To say it lost its shine after that would be an understatement, as the best finish I could achieve resembled a matt orange peel effect. The other lessons I learned during Consul ownership were how to take engines out, how to change cylinder head gaskets, how to change clutches, and most importantly how to weld which would serve me well over the following years. My Consul also provided my first experience of having a car stolen. I remember vividly the night I took my mum and girlfriend to the supermarket about 10 miles away for our weekly shopping. We emerged from the shop with two huge trolley loads of food and couldn’t find the car. It’s amazing, the last thing you expect is for it not to be there and you convince yourself you’ve left it somewhere else. When I realised it had been nicked, I phoned the police and we set about lugging all this shopping home on the bus. By the time we got home there was a phone call from the police saying they had found the car and the thieves had left it about 800 yards from where we lived in the next street. How kind of them!! It was stolen once more after that, from outside my front door and rolled down to the bottom of the street and the radio nicked, and I often wondered if it was the same villains on both occasions? My relationship with the Consul was reaching its natural conclusion and I sold it to a chap looking for something to tow a caravan. However, I hoped it was a small caravan as I never did get round to fixing the big end bearings that were knocking like mad before we finally parted company. 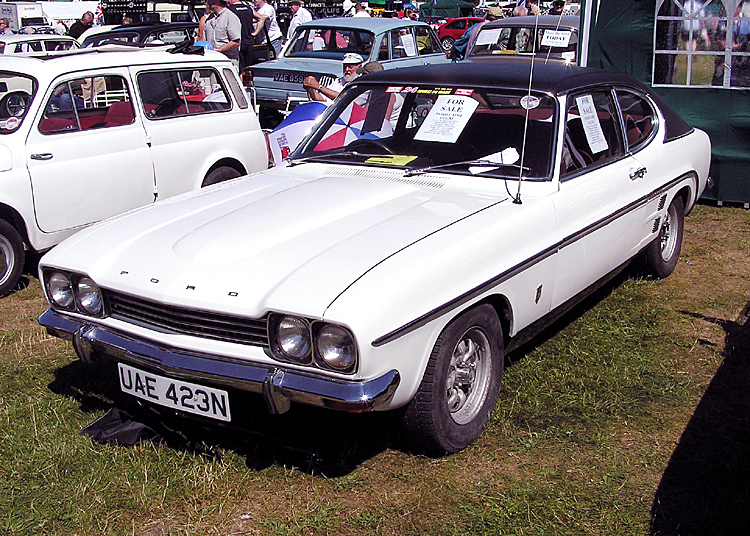 Every boys dream car, the Ford Capri was my next car. I bought a 1600 Mk2 in white and set about customising it (well sort of) with a black vinyl roof, louvers on the back window, jazzed up wheels with bright chrome rims and air horns. I loved this car and utilizing those earlier welding skills and about a ton of fiberglass and body filler, I kept it running for a good few years. Having spent so much time and money on spare parts, by now I was also best mates with Kevin Stewart, the chap who owned the local motor factors. Mechanically it only let me down once when the oil pump packed in when coming over the pennines at Alston. My brother came to the rescue and towed me home where I took out the engine, replaced the big end bearings which had melted themselves to the crankshaft and repaired the oil pump by cutting down a 6mm Allen key. Running old cars also taught me how to improvise. When it got the stage that I could no longer keep the rain out of the car I decided it was time to say goodbye. Next postMy life with cars (Part 3) – You can steal one of those with a lollipop stick.